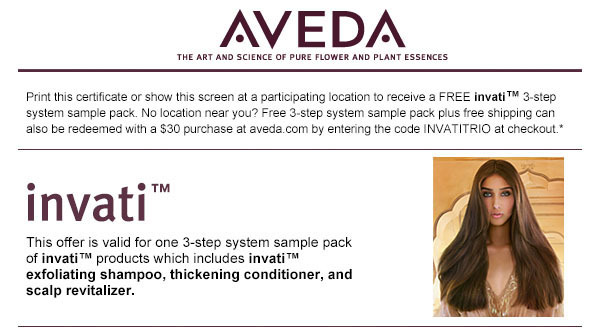 To get a Free Aveda Invati Shampoo, Conditioner and Revitalizer at Aveda Stores print out the coupon here. and bring it to any participating Aveda locations. No purchase necessary when you pickup the sample up in-store. This offer now expires June 30, 2015. One per customer only.